An incredibly carefree plant once established. The foliage forms a dense, shrub-like mound and is very fragrant. 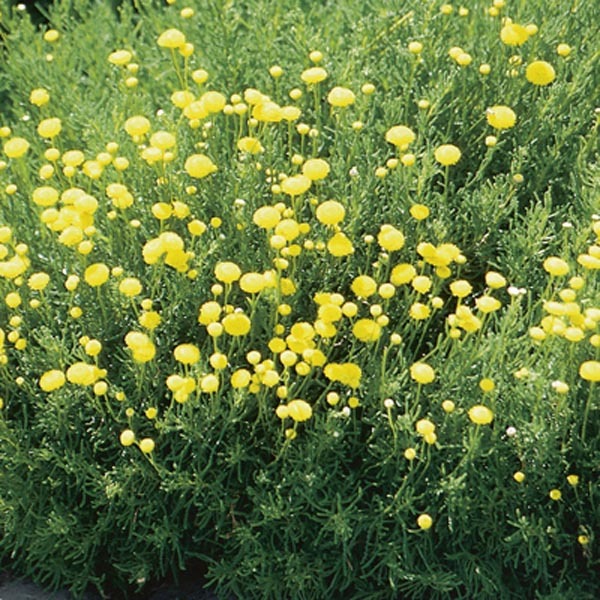 Charming, button-like yellow blooms are a bright accent in the summer landscape. Sheer plants back after flowering to maintain a neat, well-shaped form. Plant near walkways, decks and patios where scent can be enjoyed. Appropriate for knot gardens. May be pruned to form a low hedge. 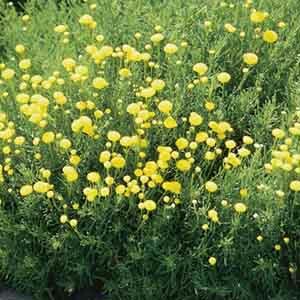 Tolerates poor soil, heat, and drought. Does best in light, well-drained soil. Allow soil to dry between thorough waterings. Prune back early each spring for best display.